French President Emmanuel Macron gave a speech in the German Bundestag – but this will not bring him any closer to his idea of Europe. A commentary piece by Albrecht Meier, correspondent in the Berlin office of EURACTIV Germany’s media partner Der Tagesspiegel. Things are not going well for Emmanuel Macron. Domestically, he faces the anger of citizens outraged about the planned increase in fuel prices. In Europe, he has reason to fear his vigour fizzling out. The French president took office with the ambition of establishing a budget for the eurozone and strengthening Europe’s defence force. In the meantime, he has added the demand that companies, such as Google and Facebook, pay more with a digital tax. Eurozone budget, European army and digital tax – these projects are essentially keywords for an EU that actually delivers results and, in the eyes of its citizens, is capable of taking action. Unlike the head of the European Commission Jean-Claude Juncker, who curiously identified abolishing the changing of the clocks as an important issue to its citizens, the French president recognised what the Europeans really need these days: the certainty that the EU and its member states offer them protection. This protection can take the form of greater assertion against digital giants or strengthening the European pillar in NATO. Since American President Donald Trump took office, European cohesion has weakened. His speech in the German Bundestag provided Macron with another opportunity to appeal to the conscience of his German friends. His call to open a “new chapter” in European policy together with France can also be interpreted as a pleading request: Please don’t abandon me! 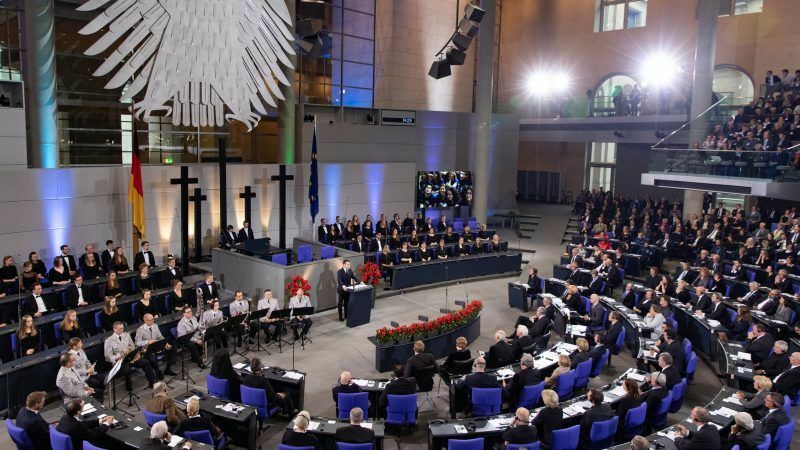 In his powerful speech, Macron appreciated the rare opportunity offered to him by the Bundestag to promote his idea of Europe directly to German parliamentarians once again. Nevertheless, the head of state also knows that this gesture is still not enough on its own. There has certainly been no lack of gestures and declarations of intent over the past 18 months since he was elected. With six months to go until the European elections, the time has now come to deliver. 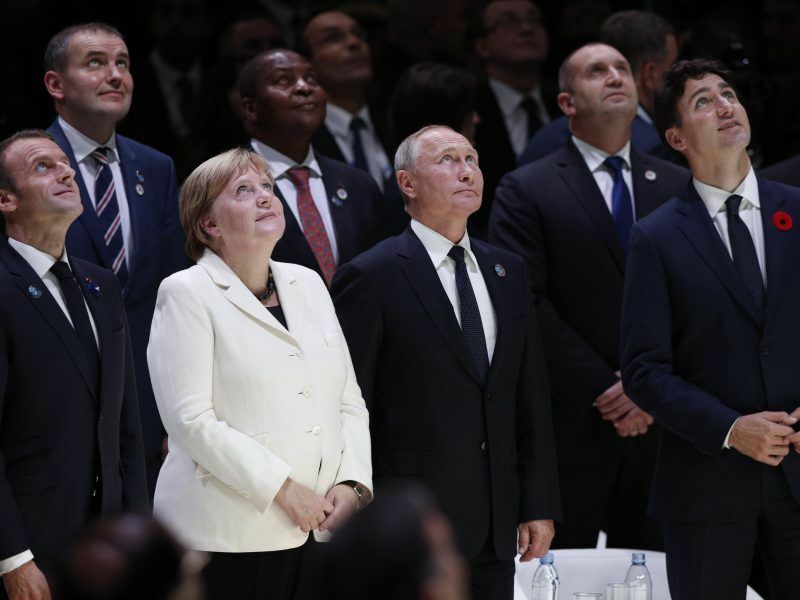 Chancellor Angela Merkel believes that Macron may find new partners among the liberals, greens and social democrats. She is in a position to put the final stage of her chancellorship to the service of the Franco-German leading role in the EU. However, it currently appears that she only wants to approach Macron with the smallest steps. For instance, a eurozone budget is also supported by the German federal government, but only to a limited extent. The German Finance Minister Olaf Scholz thinks that the digital tax is right, in principle, but not necessarily within the EU. Moreover, with respect to the common defence policy, Macron indicated at the Chancellery on Sunday that he still considered that the Chancellor’s ambition could be extended. Nobody should be surprised if the French head of state should soon start looking for new allies among Europe’s political groupings, namely the liberals, greens and social democrats. Whether he was in Paris on 11 November, or Les Éparges, the site of a bloody battle between the French and the Germans, or in Verdun with secondary school pupils, Emmanuel Macron’s “memorial itinerary” was set against the background of Europe’s future and the European elections. EURACTIV France reports. 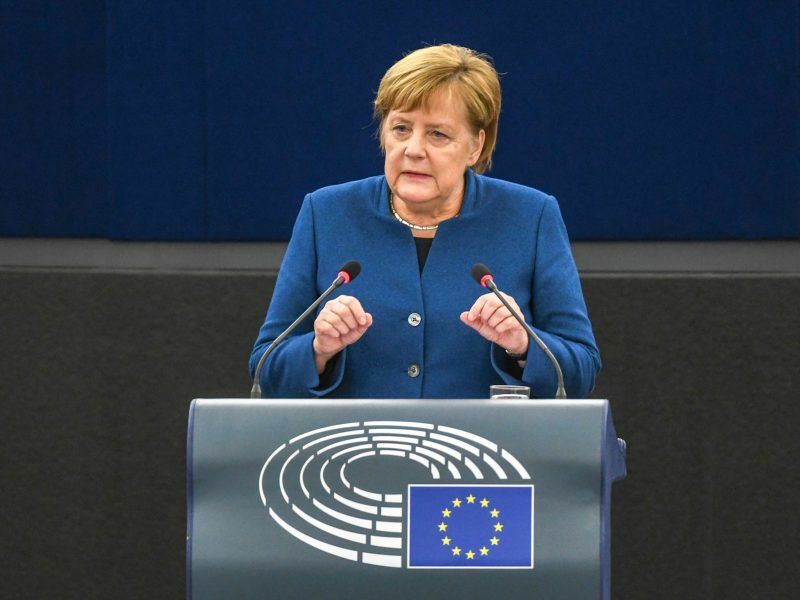 In an eagerly awaited speech on the future of Europe before what she called 'the biggest democratic parliament of the world', German Chancellor Angela Merkel called on Tuesday (13 November) for a "real, true European army" and a common asylum framework.